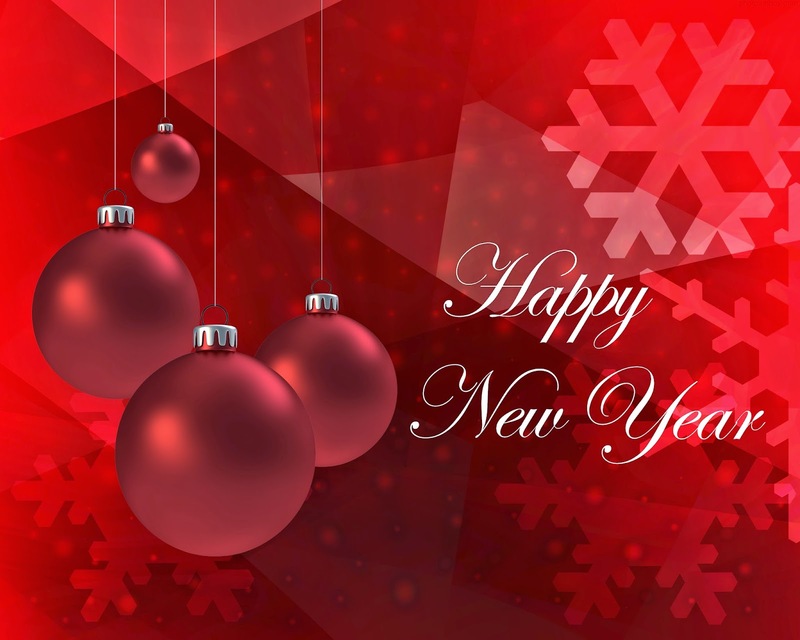 Begin this New Year in a wonderful way, surprise your friends, family and loved ones with a heartfelt wish, represented by the phrase: Happy New Year. Choose among the cards we present below and give all that special people, the best gift they can receive, a sincere wish of happiness for the year that is coming. 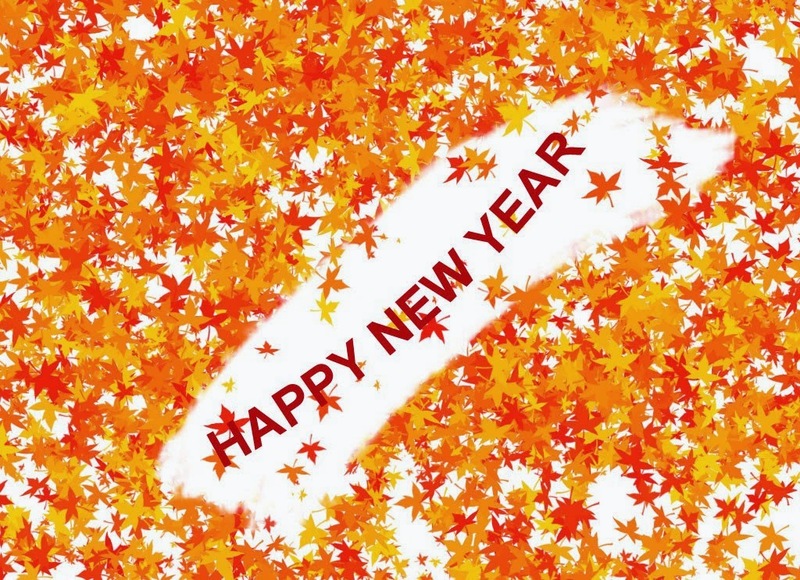 Happy New Year with golden and red shapes. 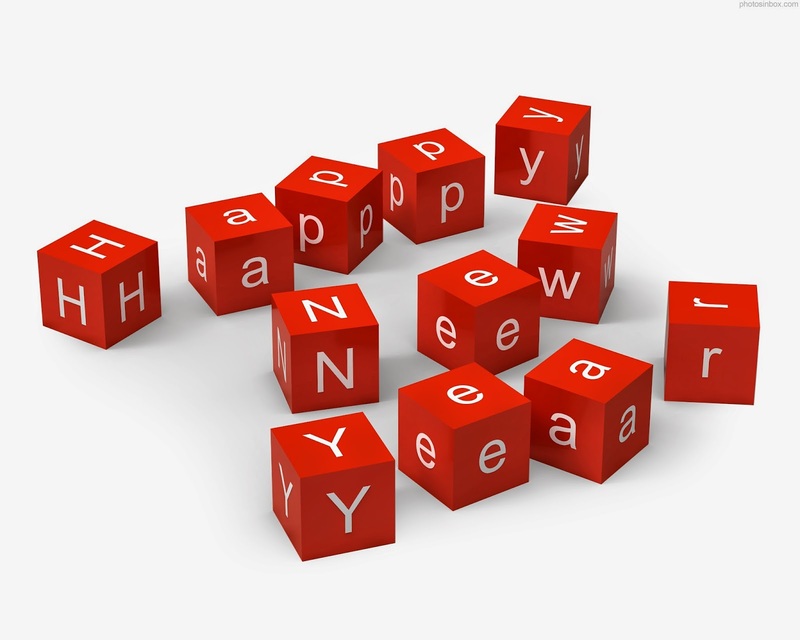 Happy New Year with each letter written on an individual dice. Happy New Year with some autumn leaves. Happy New Year with Santa Claus, a couple of candles and some other Christmas ornaments. 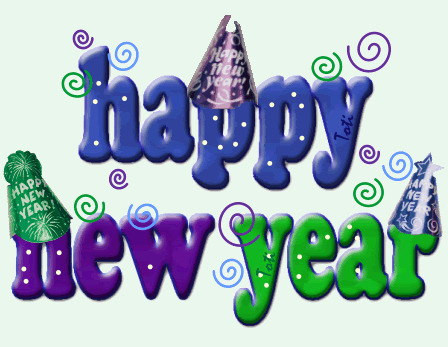 Happy New Year with the words moving with some party hats on them. 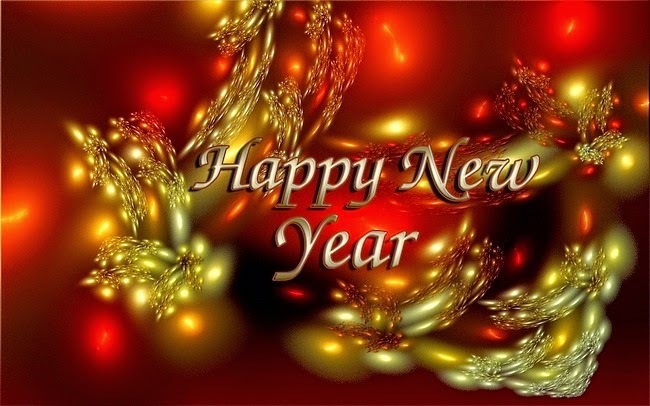 Happy New Year with golden letters and some flowers that change of colors. 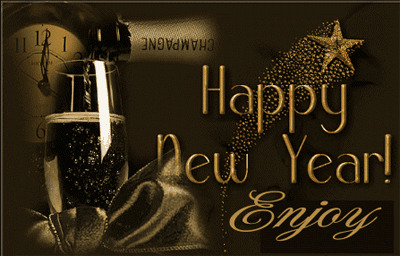 Happy New Year with golden words, a glass and a bottle of Champagne and a clock. 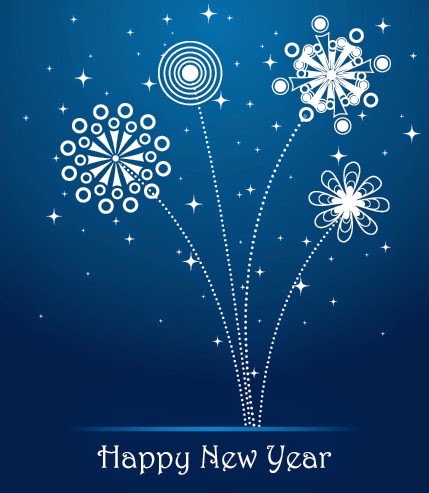 Happy New Year with original white flowers on a blue background. 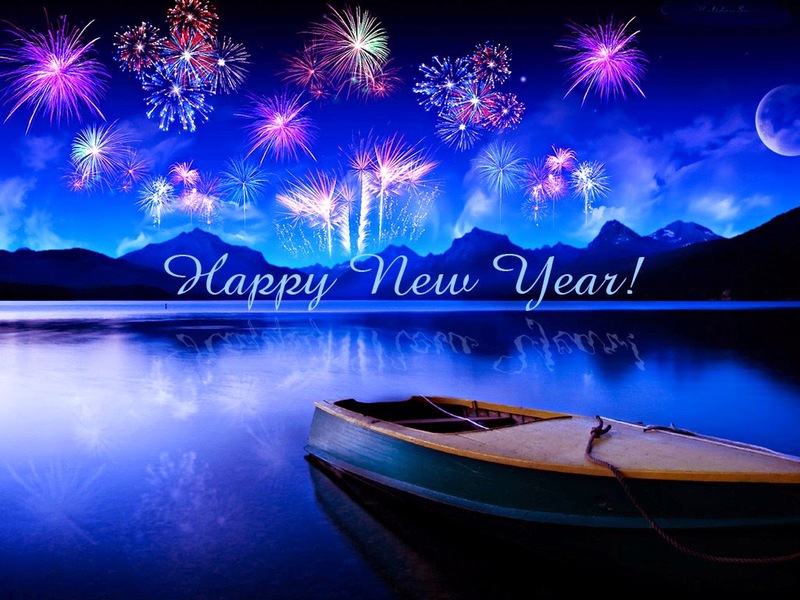 Happy New Year with some fireworks on the sky, a lake and a boat. 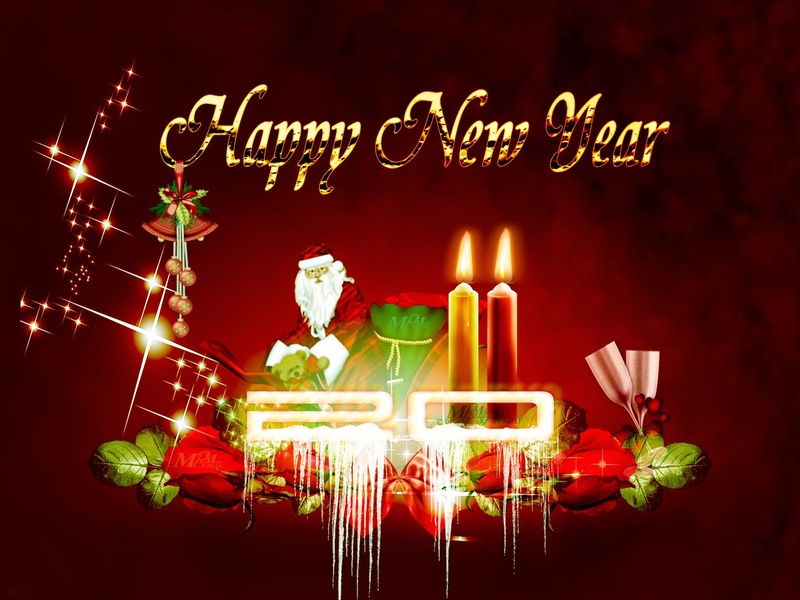 Happy New Year with white letters and red ornaments.